Megan Marshall presents "Elizabeth Bishop: A Miracle for Breakfast"
Please join us on Sunday, February 12 at 3pm, when Pulitzer Prize-winning author Megan Marshall presents her new book, Elizabeth Bishop: A Miracle for Breakfast. 2014 Pulitzer Prize winner Megan Marshall details the trailblazing life of Margaret Fuller: Thoreau’s first editor, Emerson’s close friend, daring war correspondent, tragic heroine. After her untimely death, the sense and passion of her life’s work were eclipsed by scandal. Marshall’s inspired narrative brings her back to indelible life. No biography of Fuller has made her ideas so alive or her life so moving. Megan Marshall discusses Margaret Fuller: A New American Life. From an early age, Margaret Fuller dazzled New England’s intelligentsia. Her famous Conversations changed women’s sense of how they could think and live; her editorship of the Dial shaped American Romanticism. Thoreau’s first editor, Emerson’s close friend, and America’s first female war correspondent, Margaret Fuller was a powerful intellect and a complex woman whose life was marked by both triumph and tragedy. In this book talk, Megan Marshall tells the story of how Fuller, tired of Boston, accepted Horace Greeley’s offer to be the New York Tribune’s front page columnist. The move unleashed within her a crusading concern for the urban poor and the plight of prostitutes, and a hunger for passionate experience. And she found it: in Italy as a foreign correspondent, Fuller took a secret lover, wrote dispatches on the brutal 1849 Siege of Rome, and gave birth to a son. When all three died in a shipwreck off Fire Island shortly after Fuller’s fortieth birthday, the sense and passion of her life’s work were eclipsed by tragedy and scandal. Ms. Marshall’s account brings a new appreciation of this overlooked American heroine whose heart—as well as, more famously, her head—informed her experience. Megan Marshall is the author of The Peabody Sisters, a finalist for the Pulitzer Prize. Her work has appeared in The New Yorker, The Atlantic, The New York Times Book Review, and Slate. A recipient of Guggenheim and NEH fellowships, she teaches in the MFA program at Emerson College. 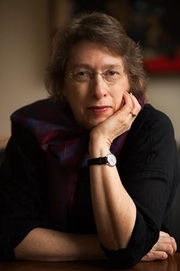 Sunday, March 17th at 3 pm - Megan Marshall, "Margaret Fuller: A New American Life"
Please join us at the Bookshop on Sunday, March 17th at 3 pm as we welcome Megan Marshall, discussing her latest biography, Margaret Fuller: A New American Life. Megan Marshall is currently considered a "single author." If one or more works are by a distinct, homonymous authors, go ahead and split the author. Megan Marshall is composed of 1 name.